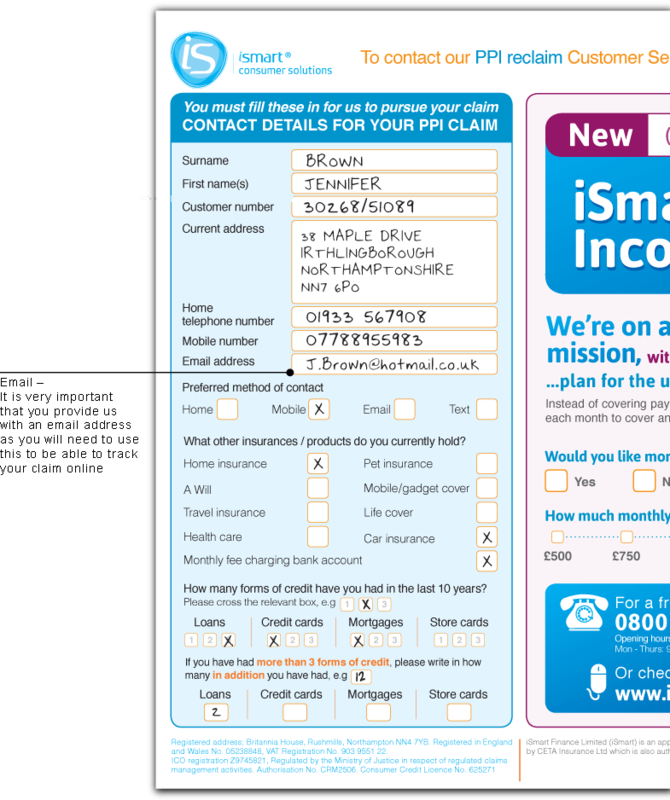 If you have been given a self-complete PPI application pack to fill out then please use this guide to help you fill out the Contact Details sheet, the PPI Customer Questionnaire (pages 1 & 2), both Letters of Authority and both FOS forms. You can use the links to the left to view the pages that you need help with. For each page there will be an image of the form that you need to fill out with the essential information filled in for you. There are prompts for each page to help guide you through each form. ismartsolutions.co.uk is owned and operated by iSmart Consumer Solutions.